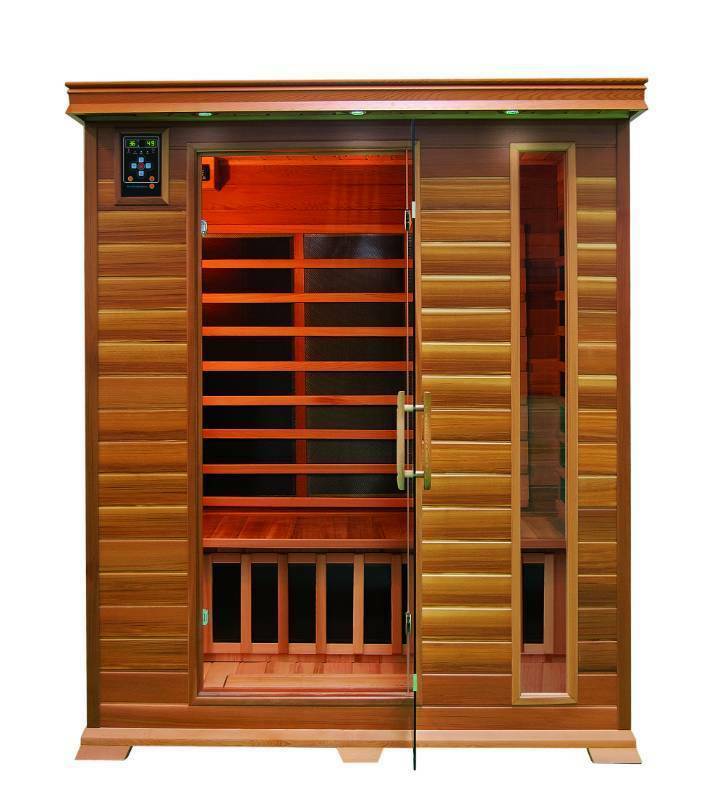 New Rejuv Sauna - 3 Person Infrared Sauna with Carbon Fiber Heaters and Red Cedar Wood. 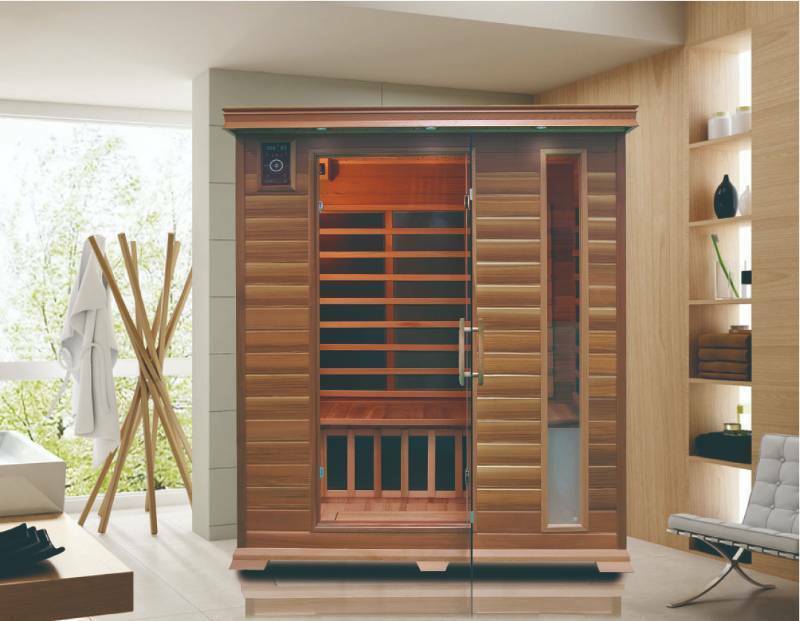 The far infrared sauna technology is a tool that works to prevent and alleviate many of the diseases and conditions our doctors can only put band aids on. There is no treatment for underlying causes of fibromyalgia, lymes disease, arthritis, cancer, heart disease, and more. Our physicians have been trained to treat the symptoms. They give us medication to manage these symptoms but medications only address the symptoms not the root cause. 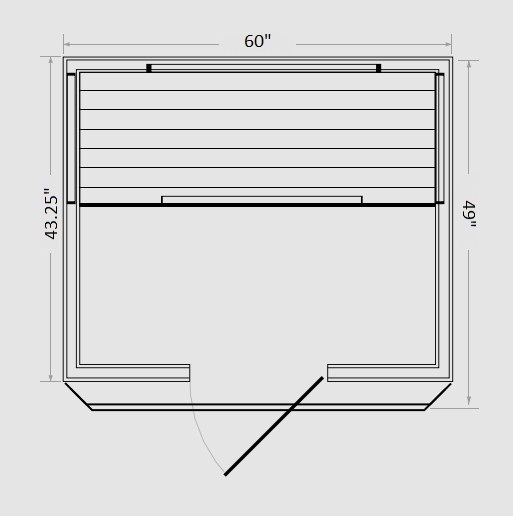 The Far Infrared Sauna Technology addresses the root cause by bringing your body to a state of homeostasis. When you apply infrared light to the human body we are charging our cells with their own energy allowing them to more efficiently detox the body, deliver oxygen rich nutrients to areas with limited circulation, and renew, regenerate and restore at the cellular level. 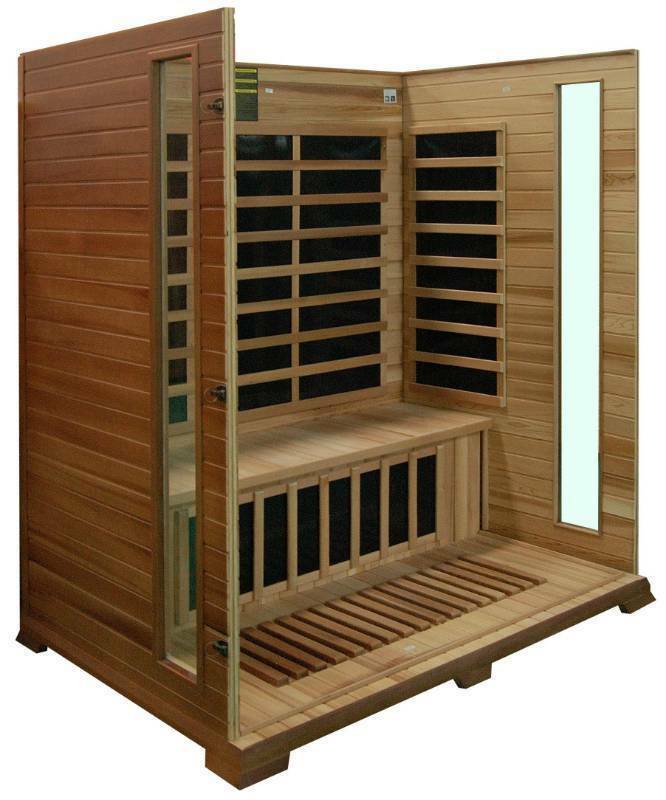 Rejuv Infrared Saunas are an investment in your health and in your quality of life. An investment that will last a lifetime. There is no better way to naturally detoxify your body than through sweating. Our largest detoxification organ of the body often referred to as the body’s third kidney expresses latent toxins residing in the body that our normal processes like our liver and our kidney refuse to metabolize and expel these toxins that are then stored at the subcutaneous layer of fat in our skin. Want to lower your risk of heart attack, lower your bad cholesterol, and lower your blood pressure all while sitting in a sauna? 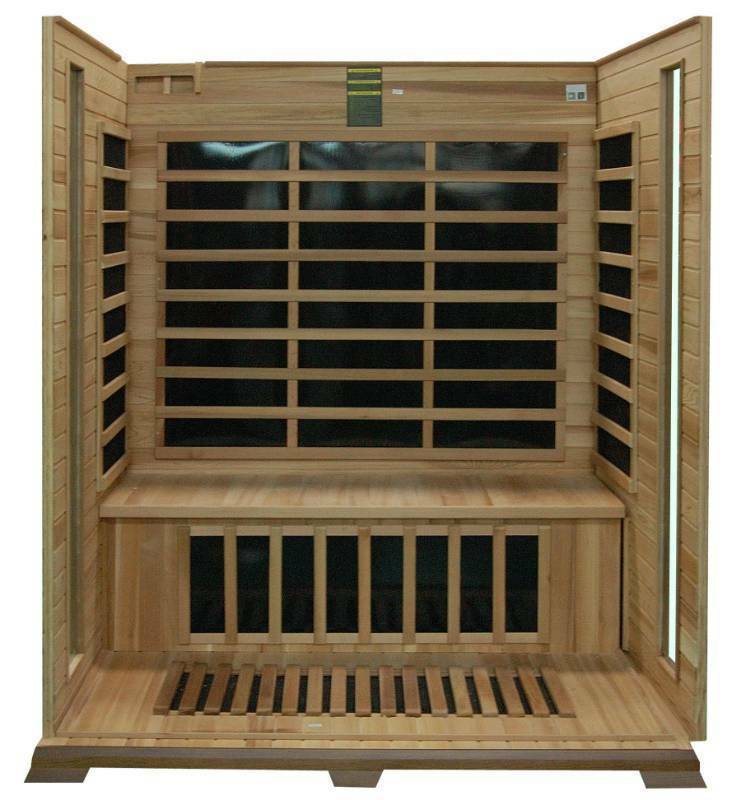 Studies have shown that a far infrared sauna session is as effective for cardiovascular conditioning as exercise. Far Infrared Therapy has been proven to provide long lasting relief from sports injuries, chronic fatigue syndrome, fibromyalgia, Rheumatoid, Arthritis, Tendonitis, Nerve Damage and a multitude of other pain conditions. 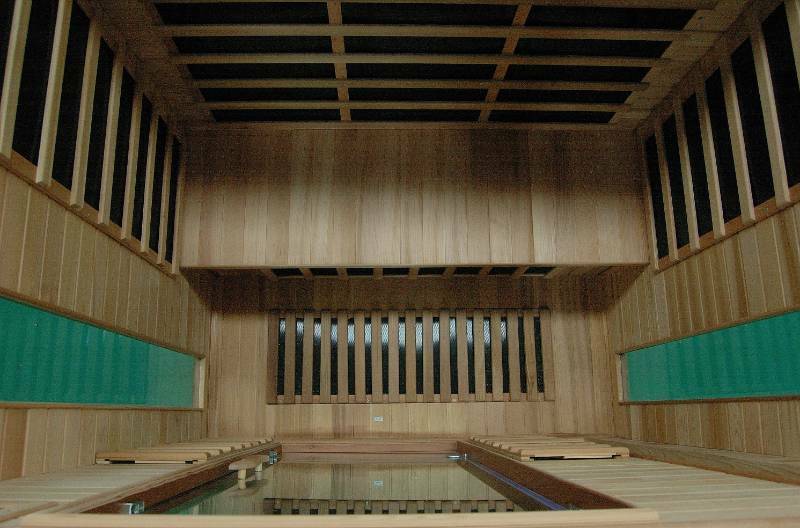 Our infrared saunas tuned to your body will increase your core temperature to induce a fever. Fever is the body’s natural immune response to fight disease and infection. Inducing this immunoresponse combined with the elimination of toxins through sweating increases your resistance to disease. A smaller You? An Active You? A Healthier You? Your Deserve to Look and Feel Better! The truth is you do burn 200 to 800 calories in a 45 minute session depending on the volume of sweat released. You absolutely lose a tremendous amount of water and you will absolutely gain back that water weight. What you won’t gain back are the calories expended producing the sweat or the toxins released like heavy metals such as lead, mercury, cadmium, and fat soluble chemicals that primarily accumulate in the fat cells and play a part in preventing the body from eliminating fat. Infrared Sauna Skin Rejuvination. It’s easy to rejuvenate your skin naturally and improve overall health in the process. With Rejuv Infrared Saunas you will experience improved skin tone softness, smoothness, elasticity, clarity and firmness. You’ll see a reduction in crows feet and wrinkles, improve varicose veins, age spots, dark circles, acne, scars, psoriasis, and eczema. Far Infrared also accelerates the healing and recovery process from burns, wounds, lacerations, and skin ulcers. Pick up is by APPOINTMENT ONLY but can usually be set up anytime Mon - Fri between 8:30 am - 4:30 pm and possible Saturday 8:30 am - 11:00 am the week following the auction end day. This auction is contracted and managed by Lakes Area Auctions. Everything is sold “as is, where is” with no guarantees or warranties. You are responsible for inspecting items prior to purchase. There is a 13% BUYERS PREMIUM (13% BP) on this auction. Applicable Minnesota Sales Tax will be collected. At the close of the auction active items will remain open until no bids have been received for three minutes. We can arrange shipping via common freight company. The estimated cost within the state of Minnesota is $150 - $200 which included residential delivery with lift gate service.